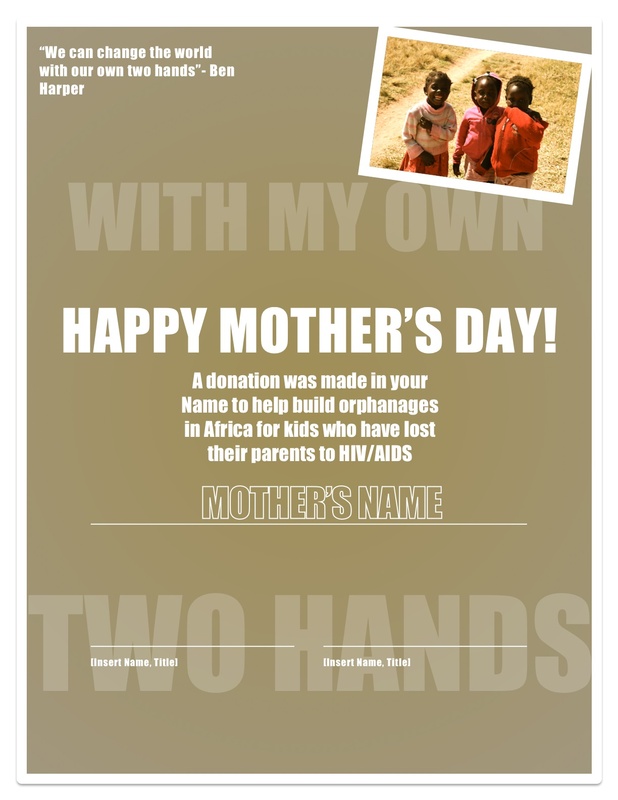 What better way to appreciate your mother this Mother’s Day than to make a donation in her name! 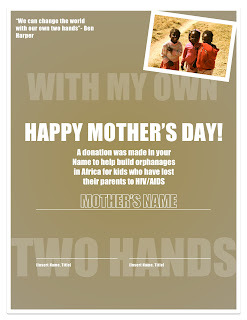 Give the gift of inspiration, empowerment, and love to kids in Africa by donating in honor of your mother! We will use the funds to directly support our projects in Africa that benefit kids who have been effected by HIV/AIDS. We seek to build orphanages, provide food and medication, educate, and provide love to kids in need! Let’s honor our mother’s this Sunday but sending our love outward to those in need of love, support, and inspiration! Only 10 more days till our Helicopter Drop Fundraiser! Participate in our cause by purchasing golf balls for our upcoming event ($10 each). The ball that lands in or closest to the hole will win the grand prize of $1,000! All proceeds go toward our cause in Africa. All funds will be put into use this summer when we take a team out to South Africa. 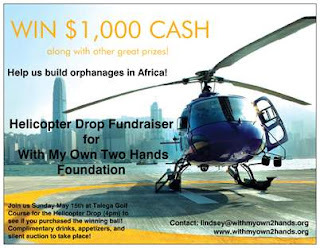 Help us raise funds for our cause by buying your golf balls today and come join us on Sunday May 15th at 4pm to witness the actual helicopter drop. Lululemon Athletica will also be putting on a trunk show and we will be having a silent auction with many great items! Don’t miss out! Join us in our cause in activating our local communities to help our global brothers and sisters in need of shelter, food, medication, and love. May we remember that we are all one…we all seek to live a life of happiness and freedom. Let us be the change we wish to see in the world (Gandhi) and get involved in helping others live a life full of happiness and freedom!